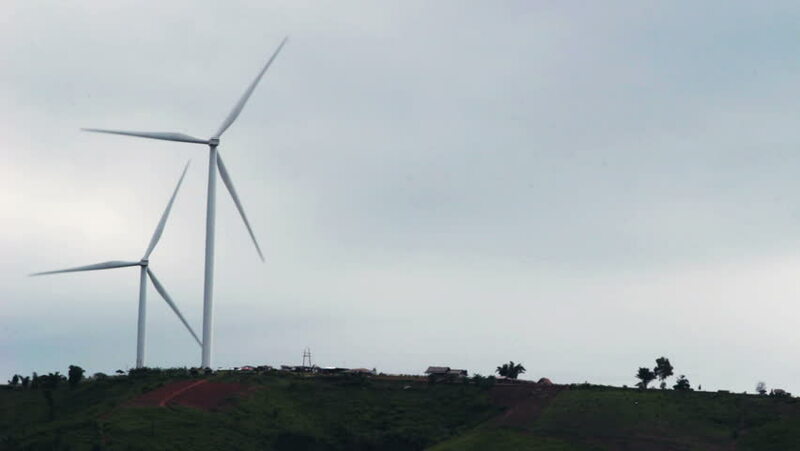 Scenery before the rainstorm will come of Wind turbines for electricity in the mountains, Khao Kho, Phetchabun, Thailand. 4k00:25Aerial wind farm turbine generators at dusk. Clean renewable energy power production concept. Algarve countryside. Portugal.